It has taken us a long time to finally see and photograph this curious plant - I use the word 'see' since we have never found it, and are thankful that it was pointed out to us in a corner of damp woodland (its classic habitat) at Gait Barrows National Nature Reserve in Lancashire. Gait Barrows has a large expanse of limestone pavement and this is the other factor that determines where Herb Paris grows - it likes calcareous substrates. 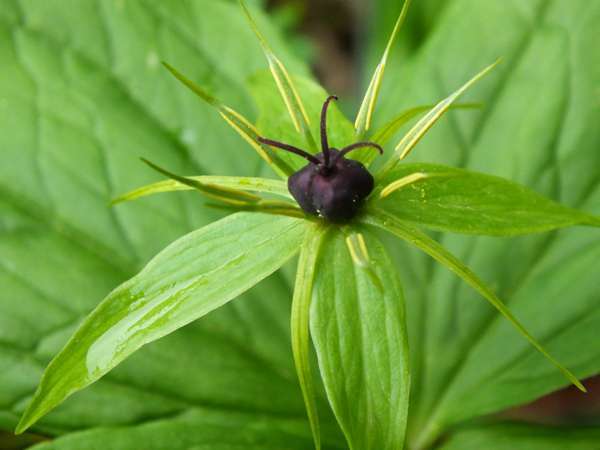 Herb Paris is very localised but is fairly widespread in southern and central Britain, probably just scraping into Scotland. It does not occur in Ireland. The word 'paris' in the name of this plant has nothing whatever to do with geography - it comes from the Latin word 'par' meaning equal, and simply refers to the symmetry of the leaves. The flower is as curious as the rest of the plant - it has greenish-yellow petals and sepals in the centre of which is a dark, shiny ovary and yellow stamens. It flowers in May and June. 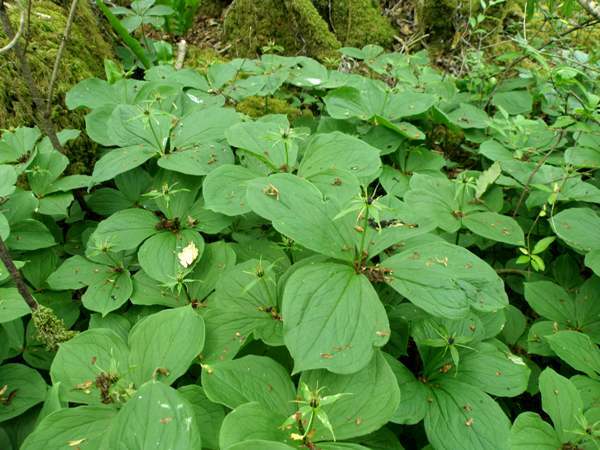 The occurence of Herb Paris is a good indicator of ancient woodland, but it is very easy to overlook in the dark and green understory of most woodlands. 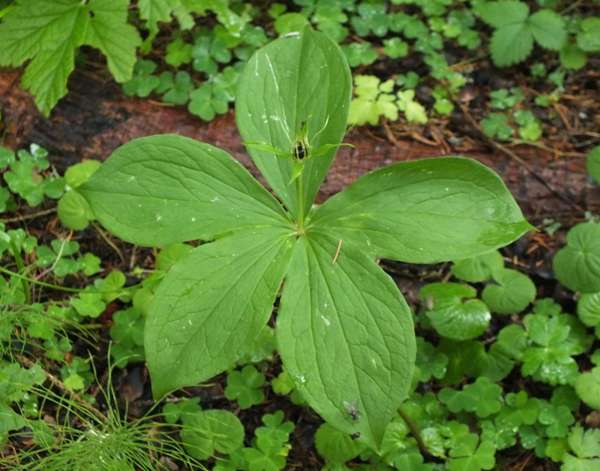 As if often the case, once you have found something it keeps popping up and we photographed Herb Paris in woodland in the Triglav National Park in Slovenia in 2011. The plants shown on this page were photographed at Gait Barrows National Nature Reserve in mid-June and in northern Italy in early July.